Sometimes the world around you makes no sense at all. It doesn't for me anyway. The cars in front of you who think that the maximum speed on the street is 5km/hour. The millions and thousands of narrow-minded, stupid people that you are sharing this world with and where you have to be friendly to, even if it is completely against your nature. 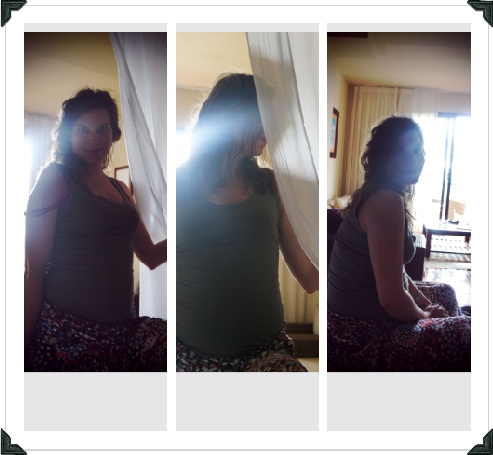 Ok, I am also pregnant, so for the moment I can always say that it is the hormones. But hey, you know what, it is not the hormones, sometimes you are just pissed off. And that is perfectly okay and normal. I am just giving a shout out for the right to be pissed! Now I have the beast out of my system, I'll go and take a tranquillizing bath with lavender oil. HaHa.